This offer applies to one room per stay, based on double occupancy on the dates listed. A “hotel stay” or “stay” means all consecutive nights spent with Marriott at a participating hotel. 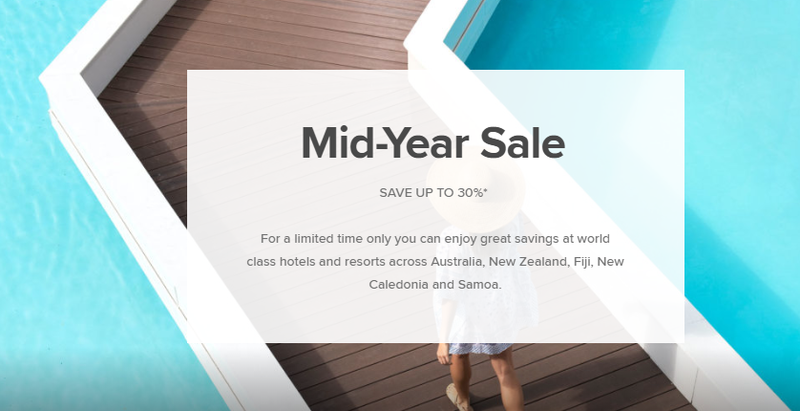 Offer sale period is April 1st – April 30th, 2019 for stays up until August 31st, 2019. Offer not available during special events; blackout dates may exist; reservations 7 days in advance and full pre-payment is required. Offer does not apply to groups of 10 or more rooms nor to meeting rooms. Limited number of rooms are available for offer at each participating hotel. Offer availability and level of discount varies by date at each participating hotel. Maximum discount is 30% and minimum discount is 10%. Discounts are based on the full retail rate. Supplements may apply for more than 2 occupants per room and rate will be subject to availability. Offer code/promo code is W21. All Marriott Bonvoy program terms and conditions apply. View our comprehensive Terms & Conditions at www.marriott.com.au. Tax is included in listed rates for hotels in Australia. Other restrictions may apply.